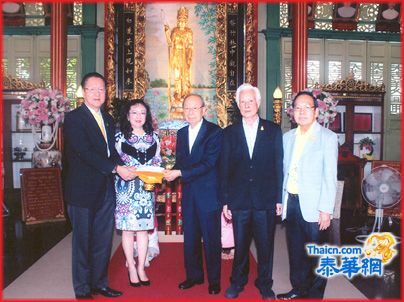 Mr. Pichaya Phisitkul donated 100,000 baht to the Thian Fah Foundation Hospital. 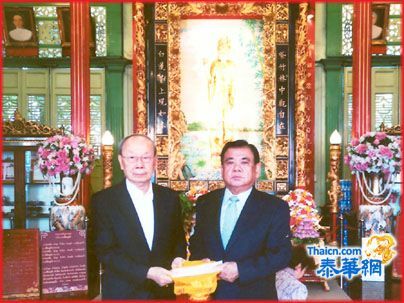 Mr. Chen Ping Yi, president of the Friends of Friendship Association, sponsored 100,000 baht for Thian Fah Foundation Hospital. 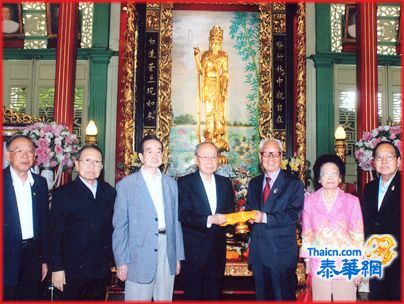 Mr. Chanwit Hiran-as Is the recipient of the donation and thanked. 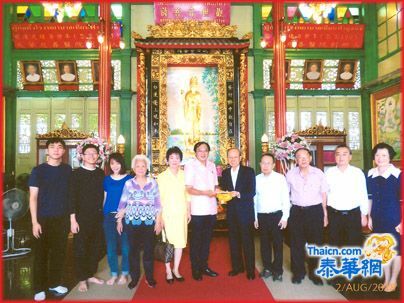 Mr.Aphisit Ariyachotima, vice chairman of Jinruyi Cultural Center and his wife went to Thian Fah Foundation hospital to pray for the health of Guanyin Bodhisattva. 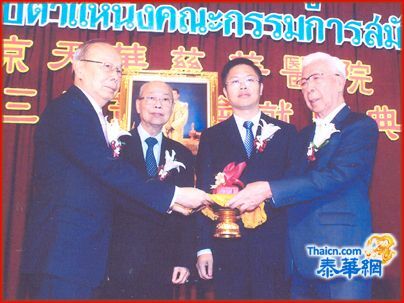 Mr.Chote Komolrochanaporn sponsored 300,000 baht to Thian Fah Foundation Hospital. 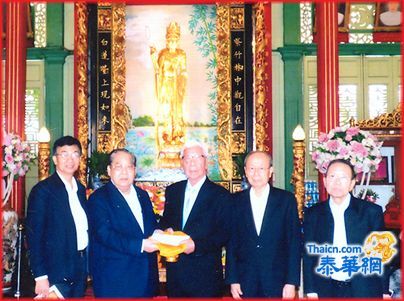 The application was received by Mr.Chanvit Hiran-as, Chairman and Vice Chairman of the Board, Mr. Chaw Leaph-Fu, Mr. Amnat Amornmaneekul. 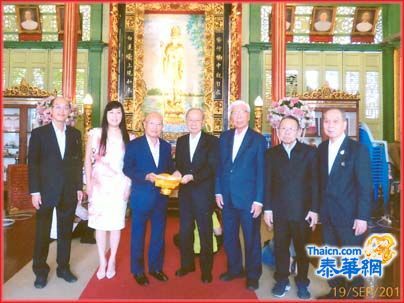 Mr.Witcha Phanacharn commemorates the sponsorship 5,000,000 baht to Thian Fah Foundation Hospital.Mr.Chanvit Hiran-as,Chairman and Vice Chairman, Mr.Sith Sithivaraporn, Mr.Chaw Leaph Fu, and others receive the application for the great deeds of thanks. 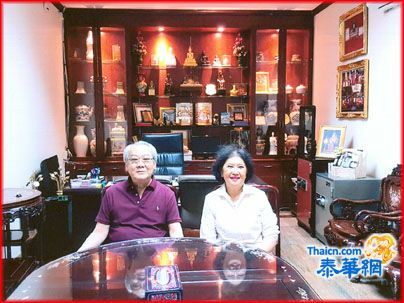 Overseas Chinese leader Mr.Chaovarit Tantivongsakit with daughter and son.donate to Thian Fah Foundation hospital Thirty million baht.Taken over by Chairman Mr Chanvit Hiran-as. 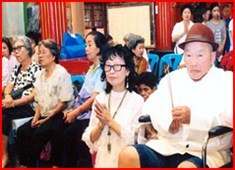 Thian Fah Foundation Hospital held the Hungry Ghost Festival, invited the monks to do ritual prayers for the prosperity. 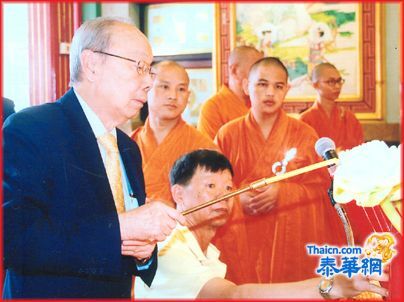 Mr. chanvit Hiran-as is the chairman of ceremony. 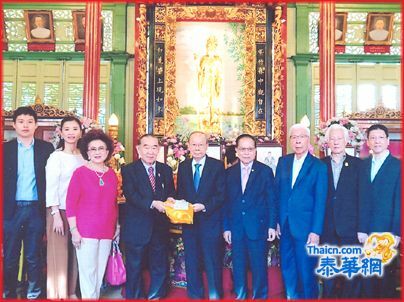 Hong Sun Association, Sponsored The Thian Fah Foudation Hospital each has 200,000 baht, a total of 1 million baht. 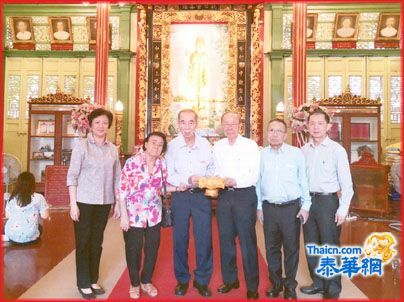 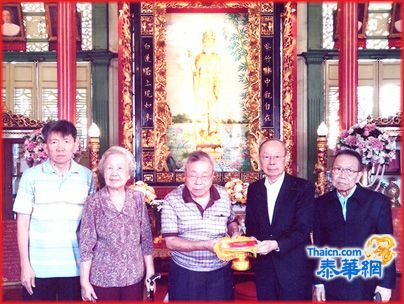 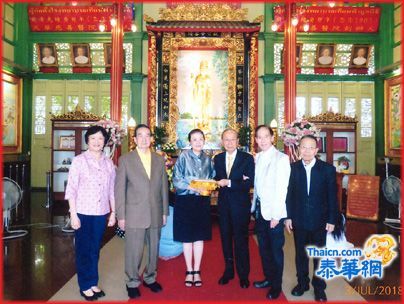 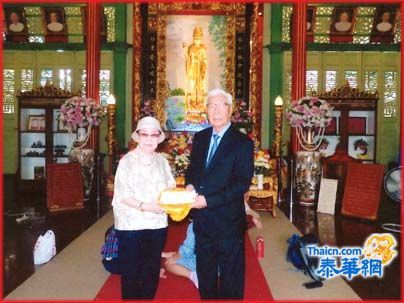 Mr.Chalerm Sunantakarnkij, Overseas Chinese Leader donated 300,000 Baht to Thian Fah Foundation Hospital. 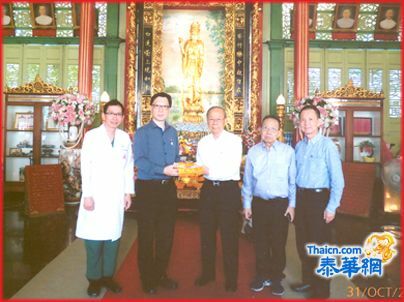 Mr.Somchai Ekviriyakit Donate to Thian Fah Hospital on the birthday. 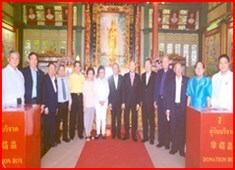 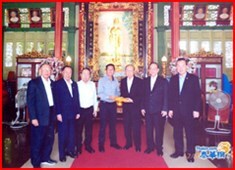 Thian Fah Foundation Hospital held a ceremony to celebrate the anniversary achievement ambitious Bodhisattva Kuan Yin. 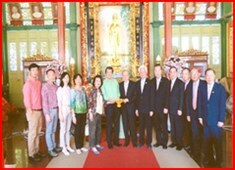 To remember and pay homage to the Bodhisattva Guan Yin. 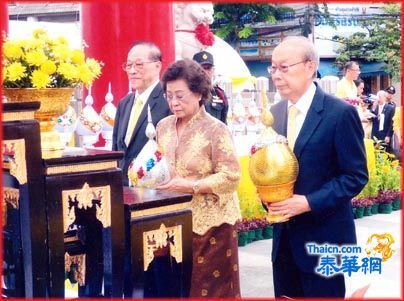 Samphanthawong organize celebrations in honor of Majesty King Maha Vajiralongkorn Bodindradebayavarangkun The reign of the 10. attended the ceremony. 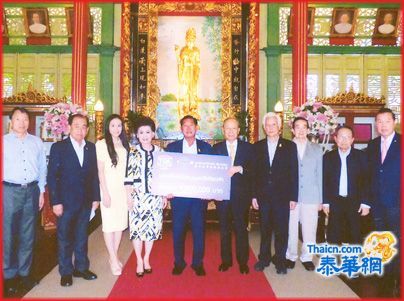 Mr.Chaveng Chinthammitra, Mr.Narong Suthikulphanich, Mr.Lin Youtai donated 100,000 Baht to Thian Fah Foudation Hospital. 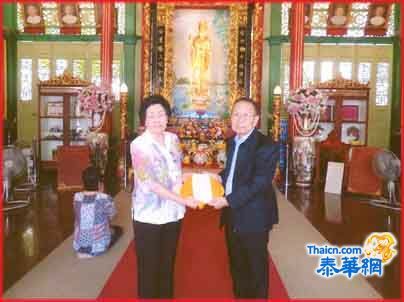 Mrs.Thipawan Jiratchanont assigned to his daughter and son To donated 1 million baht to The Thian Fah Foundation Hospital. 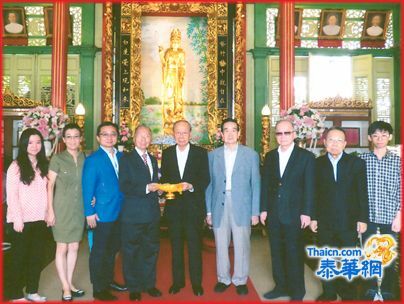 The Thian Fah Foundation Hospital held the inauguration ceremony of the 13th Committee Board. 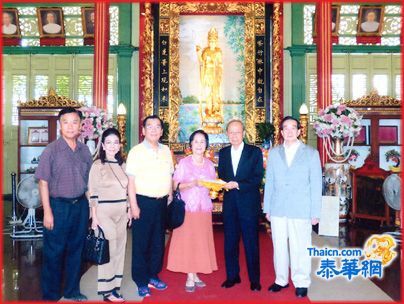 Ms.Luo Biqing and Ms.Li Chuxi donated donated to The Thian Fah Foundation Hodpital. 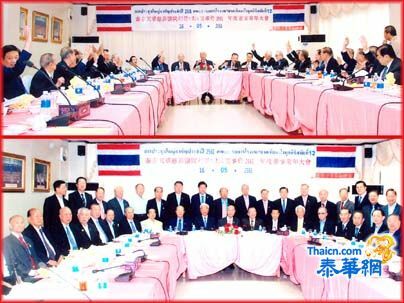 The 12th Board of Thianfah foundation hospital held the annual meeting. 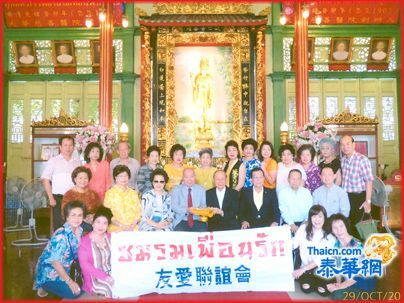 Copyright THIAN FAH FOUNDATION HOSPITAL All Rights Reserved. 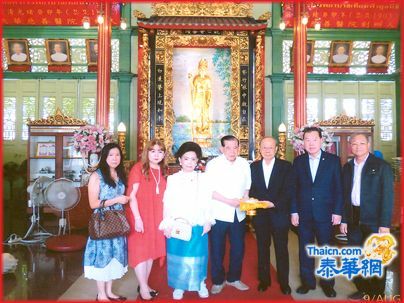 Address: 606 The King's Birthday Celebration Arch (China Town Gate),Yaowaraj Road, Samphanthawong District, Bangkok 10100.